Since the last couple of days, there has been a lot of people complaining about their Pixel 2 XL’s Dull, Blue Tint Screen and Burn-in Issues. 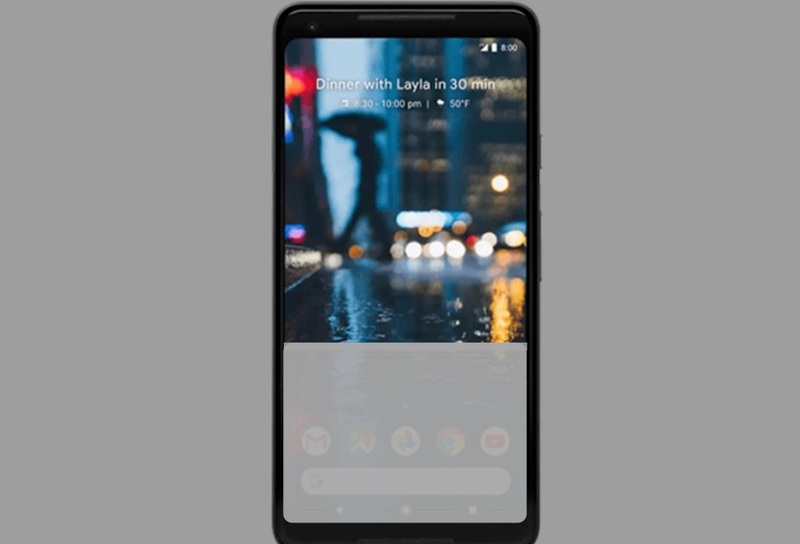 There are two main issues with Google Pixel 2 XL people are complaining about the Dull, Blue Tint or Unsaturated colors and burn-in OLED display issues and people have also shared this issue by twitting on their twitter account showing their Pixel 2 XL image where it shows a grey image on the screen making it hard to see even the navigation bar. If you are one those Google Pixel 2 XL users who have Blue Tint or Burn-in-Issue then I think you shouldn’t worry anymore. Google is aware of this issue and has also said that it was “actively investigating” these complaints on October 23. Recently Google made its comment on the Pixel 2 XL’s blue tint when looking at the display from an angle and here you can read that. “We want to add some info regarding the blue tint that some of you have been asking about. The slight blue tint is inherent in the display hardware and only visible when you hold the screen at a sharp angle. All displays are susceptible to some level of color shift (e.g. red, yellow, blue) when viewing from off angles due to the pixel cavity design. Similar to our choice with a cooler white point, we went with what users tend to prefer and chose a design that shifts blue.” Take that as you will. Now just a few days after on October 27 Google made an official response from the company by writing it via Google product forum telling its plans to fix the Google Pixel 2 XL Blue Tint and Burn-in issue. Now to address and fix these Pixel 2 XL’s issues Google will Soon bring an update bringing a new ‘Saturated Mode’ that will increase the color saturation and vibrancy but its said that it will be similar how Pixel 1 operates. Google already uses a “Vivid mode” that increases the saturation of the display by 10% but it is not yet clear how much the percentage will be with the new Saturation Mode. Hopefully, we could say that this should work to fix the Pixel 2 XL’s Dull or Blue Tint display issues. There has been a number of reports regarding Google Pixel 2 XL’s screen Burn-in issues over last few days and now when Google is aware of the issues the search engine giant has made the following comment saying that it’s “actively investigating” the reports of burn-in that it’s received. Moreover, Google said that it’s working with app developers so that a white navigation bar can be used in place of a black one to help cut down on possible burn-in even further. All these changes will be available as an update to Pixel 2 XL in the next few weeks Google said. Something is always better than nothing, it will be interesting to see that how these updates help to fix all such Pixel 2 XL’s display issues in future, But hopefully, this might be a good news for the victims of the Pixel 2 XL’s Blue Tint and Burn-in issues. This would definitely be a good news for Google Pixel 2 and Pixel 2 XL’s users. Yes, Google has also announced that it would be extending the standard one-year manufacturer warranty on the Pixel 2 and Pixel 2 XL to two years at no extra cost and it will apply to both current and future Pixel 2/2 XL owners. This is something I think users will definitely appreciate Google. What you think leet me know in the comments section down below.